CombatCritic's "TravelValue": Lawrence, KS: Not "America's Best Philly", But A Contender For "Lawrence's Best Sandwich"
Lawrence, KS: Not "America's Best Philly", But A Contender For "Lawrence's Best Sandwich"
Trying to find a decent sandwich in Lawrence is like trying to find the veal cordon bleu in an MRE box, ain't gonna happen, not until I tried PepperJax Grill. 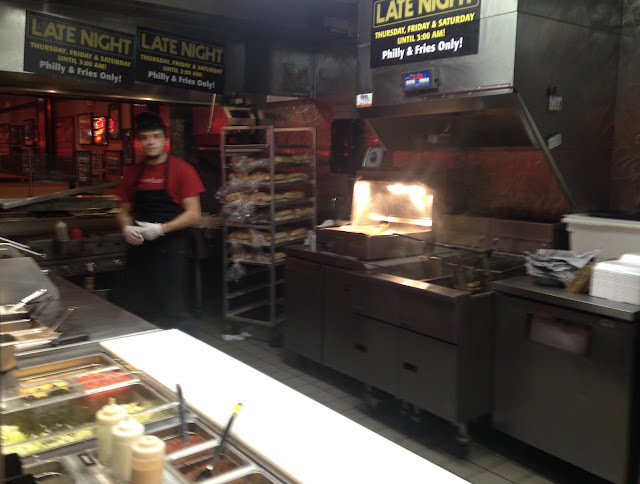 While far from the best sandwich, in general, or cheesesteak, in particular, I have ever had, PepperJax' cheesesteak was the best sandwich I have eaten in Lawrence. Their menu is very limited with cheesesteaks, rice bowls, burritos, nachos and salads, all in the $7.29 to $7.99 range, as well as several sides including fries, chips and salsa/queso, and mandarin oranges. The combination of cheesesteaks and Mexican fare is a bit odd, but the cheesesteaks are decent. 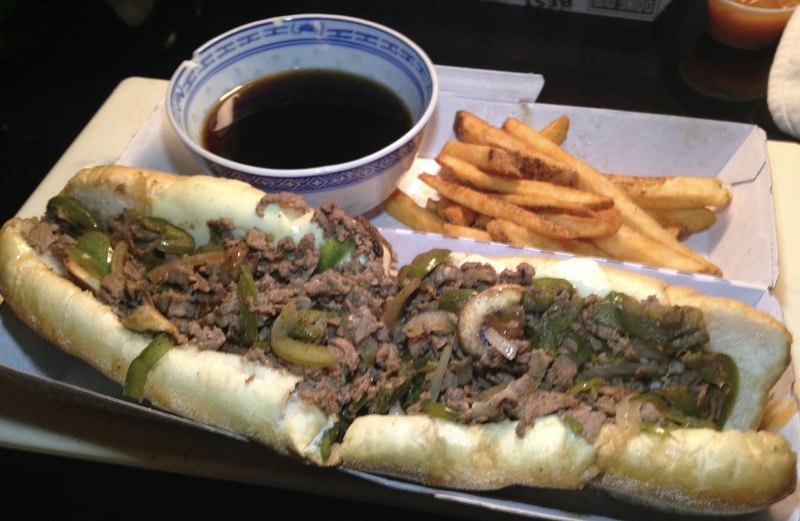 Having eaten "real" cheesesteaks in Philadelphia, PepperJax claims theirs' is "America's Best Philly", but I do not concur. There is ample diced beef sauteed with peppers and onions and the 10-12 inch roll was soft and fresh. The cheese was a nondescript American variety, not the traditional Cheese Whiz found on Philadelphia cheesesteaks and mushrooms, not green bell peppers, would be a more Philly-like addition. The sandwich was tasty and filling. I also ordered two sides of fries ($2.50 each) , but the guy behind the counter talked me out of one, telling me "they're really big, so you may want just one", so I followed his advice. Turns out they were not as big as he had said and were just barely enough for two of us, but they were fresh, hot and crispy, a nice accompaniment to the cheesesteaks. There is also a condiment bar with four sauces (au jus, chili sauce, and two others as well as the usual catsup, mustard, napkins, and plasticware. Overall, I have to say that PepperJax was worth the visit and a decent value. 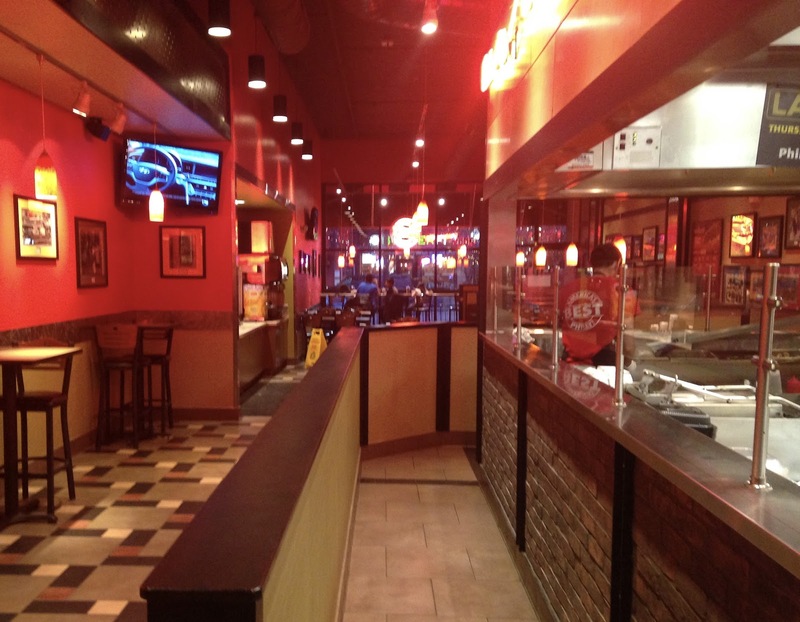 If in the mood for a Kansas cheesesteak, we will definitely return. CombatCritic Gives PepperJax Grill 6 Bombs Out Of 10 ... More Bombs Are Better! Title: Lawrence, KS: Not "America's Best Philly", But A Contender For "Lawrence's Best Sandwich"
Translation for Civilians: G2G = "Good To Go"